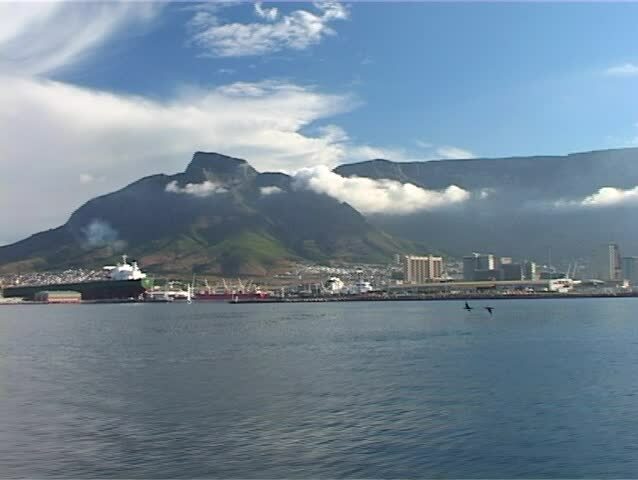 Handheld shot from a boat heading towards Cape Town and Table Mountain from the Atlantic Ocean. hd00:14Sunset landscape in Makarska, Croatia. hd00:14Vietnam, cruise ships with tourists in Ha Long Bay. Wooden boats in the famous lagoon of Ha Long Bay with limestone rocks and islands on background on a cloudy day.